British Model wears Armani Eyepatch that Jack Sparrow would be proud of! Cara Delevingne looked like the most stylish pirate we had ever seen as she took part in a new A|X Armani Exchange photo shoot alongside Dutch DJ Martin Garrix and Chinese singer and actor Li Yifeng. Cara even showed off her tattoos on her right and left hands. On her right hand she showed off one tattoo on her wrist that read ‘Silence’ and her initials ‘CJD’ for Cara Jocelyn Delevingne along the side. 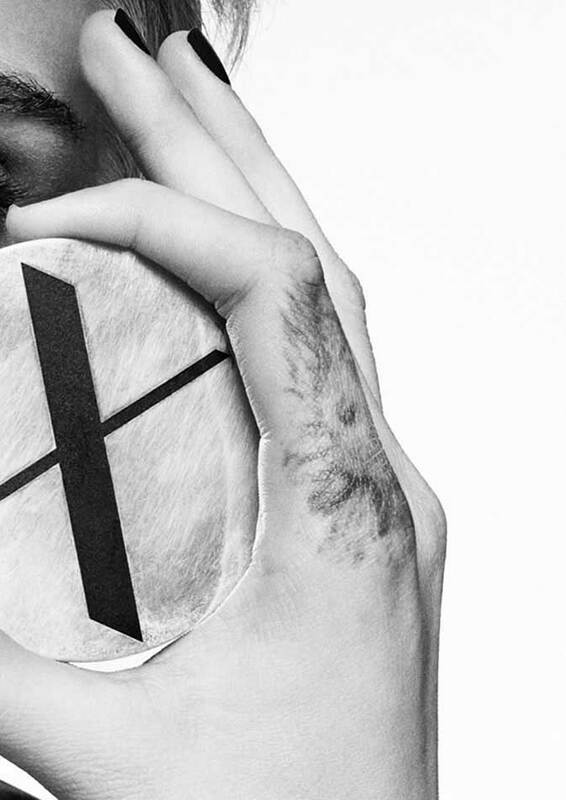 Cara Delevingne looked stunning in her new Armani Exchange photo shoot showing off her tattoos. Wrong Eye! Chinese Actor Li Yifeng wore a cool blue leather Armani Exchange jacket during the shoot. 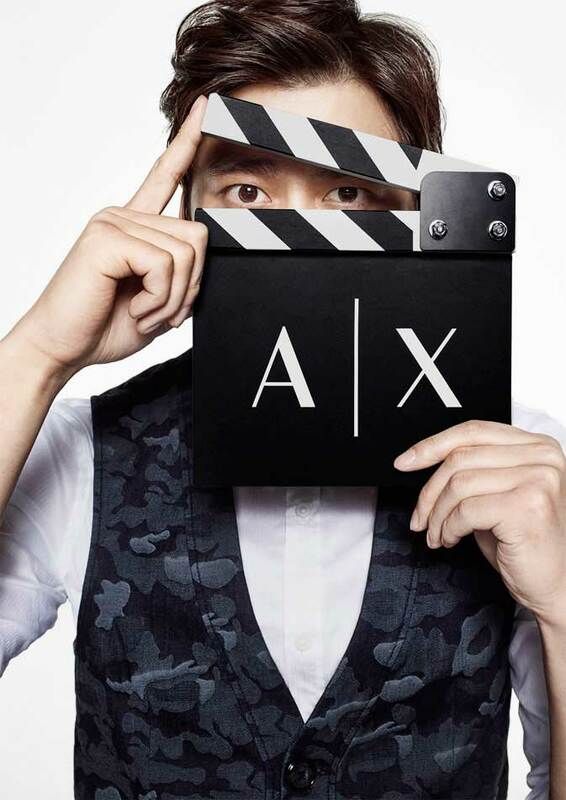 Actor Li Yifeng joked a round with an Armani Exchange clapper board during the shoot. I see you! Dutch DJ Martin Garrix joked around wearing a cool Armani Exchange sweater. 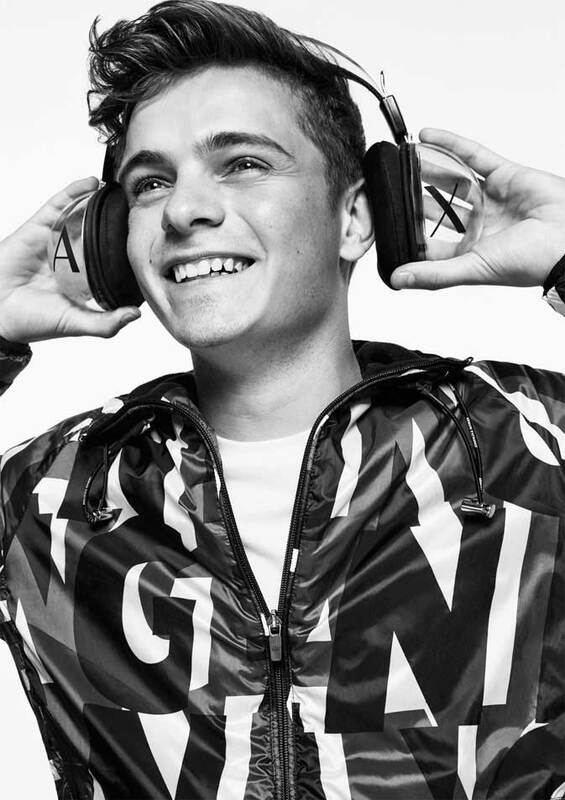 Dutch DJ Martin Garrix looked stylish in the Armani Exchange jacket. Cara Delevingne showed off two tattoos on her right hand - one with her initials CJD and the other that read 'Whisper'. 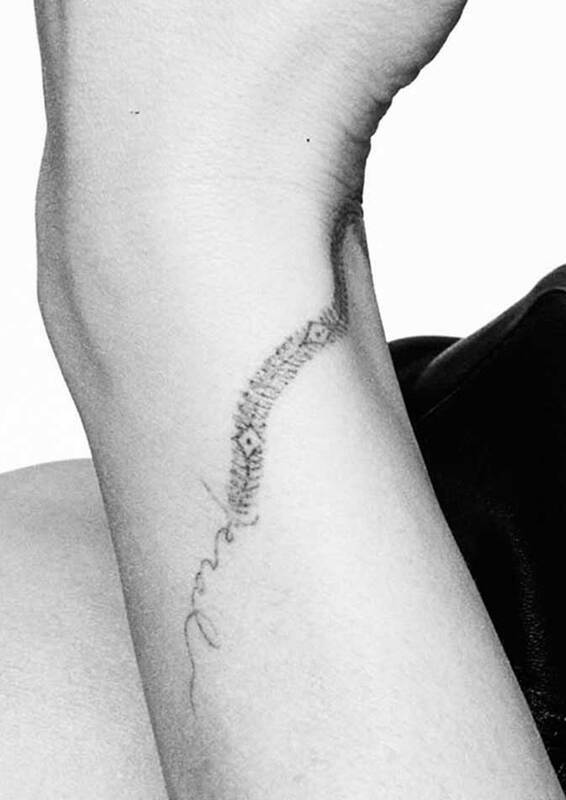 Cara Delevingne's Tattoo pictured here is a snake skeleton climbing up her wrist designed by Amber Heard. Cara Delevingne's Tattoo pictured here is a Lion inked on her right index finger. She also had a Lion inked on her right index finger. All three were reportedly created by celebrity tattoo artist Keith “Bang Bang” McCurdy. Shot by Sabine Villard for Armani Exchange fall/winter 17/18 collection the shoot is daring, fun, plays with expressions, and breaks the mold. Cara Delevingne’s Tattoo pictured here is a Lion inked on her right index finger. According to Armani “The world-famous protagonists of the shots speak to a younger audience, create trends, and perfectly interpret the values of A|X. Cara, Martin and Li are truly free-spirited, with street-wise and active personalities matching their urban soul. Cara Delevingne Trivia: Cara Delevingne’s godmother is actress Joan Collins.